About Electronic Controls Design Inc.
Home / About Electronic Controls Design Inc.
Electronic Controls Design Inc.(ECD) is globally recognized as a market leader in thermal monitoring and analysis technology and, more recently, unique dry storage systems. Based in Milwaukie, Oregon, the company is a pioneer in the design, development, and manufacture of innovations in the electronics, solar and baking industries. Award-winning thermal profiling technologies, creative and intelligent dry storage cabinets and data-rich software platforms make ECD the partner of choice for engineering professionals worldwide. ECD is a group of ethical, inventive and hard-working people; and, we’ve been known to have a little fun, too! 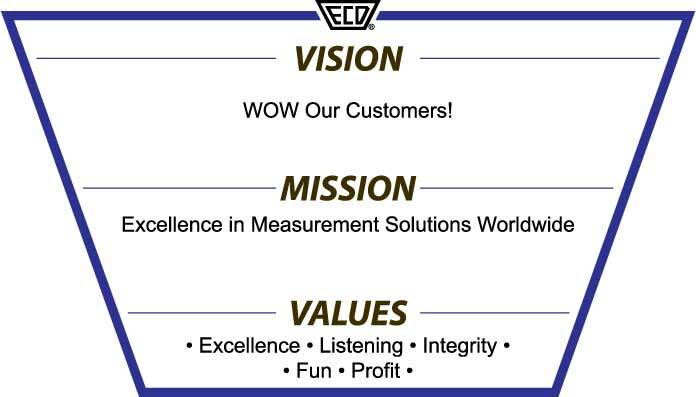 Our customers see our passion every day, as we live out ECD’s Vision, Mission and Values. ECD’s history is deep and broad, beginning with our first product – a kidney dialysis machine brought to market in 1964 – to the thermal profiling and dry storage innovations of more recent years. Commitment to exceeding our customers’ expectations – or WOWing them, as we like to say – is what drives us. Simply put, we love it when you are successful! Excellence and continuous improvement – we live it. Listening - we do it. Integrity - we embody it. Fun - we love it! Profitability - we drive it. Talk to our team and you’ll notice the difference. Powder Coating Instruments market - Our product solutions include innovative, user-friendly, INDATA® powder curing systems and software. Heat Treating Instruments market - Our product solutions include the INDATA® thermal profiling system and SourceTrak® software designed to keep your operation running at peak efficiency. Circuit Board Fabrication market - this division was spun off into a new company, Sunstone Circuits. Order via Sunstone's unique Internet standard, quick-turn PCB Express™ services, Internet integrated PCB quoting and online ordering service - PCB Pro, And, design, layout and order service - PCB123 or live full services. We’ve earned the respect of our customers and they like to let us know it! At ECD, customers’ opinions are the ones that count; they are our reality. Customers are talking... see what they have to say. View testimonials. Want to join the WOWed customer club? Contact an ECD sales expert today.